Both cards are sweet and fun! Congrats on another sweet, adorable set. These critters are as cute as a button. And your cards are beautiful & fun. I love your new set! 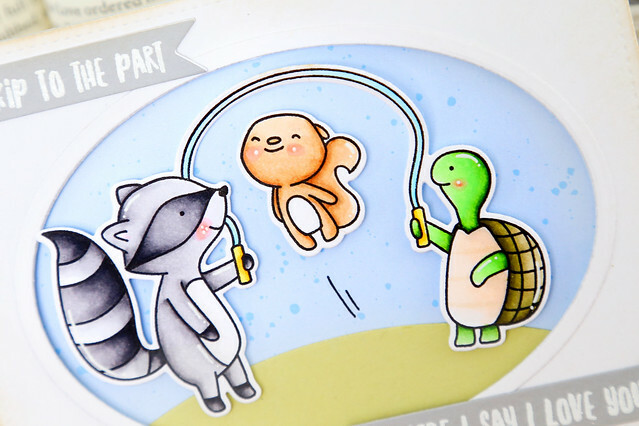 The little critters are just so full of joy and fun and your cards show them off perfectly! 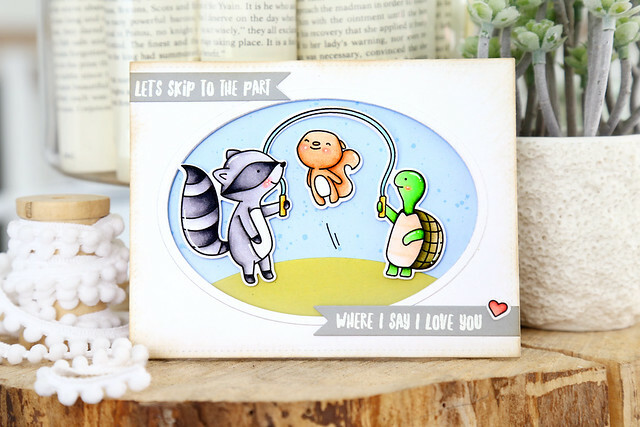 Darling cards with these sweet jumping critters! Such a delightful set! Adorable cards, fabulous coloring!! So sweet! Wow do I like this set I adore it...yuu did such a fabulous job. The cards are so adorable. So darling a card AND the sheer glee on that little Squirrels face! What a fun set you created and cute cards. Thank you for taking me back to my childhood! Love the fun movement... even if they're not interactive you can feel the movement!! Adorable and sweet scenes!!! Love so much your new stamp set!!! Cute critters. I used to love skipping, as we call it here, loved teaching my little ones & them thinking mum was cool for a while hehehe. Thank you for sharing these. LOVE these cards - they are so funny!!! Fabulous cards! I love the action that your design of the second card creates! I LOVE this set!! It is so stinkin' cute! Your cards are adorable, and I just love that little squirrel; he's stolen my heart, for sure!